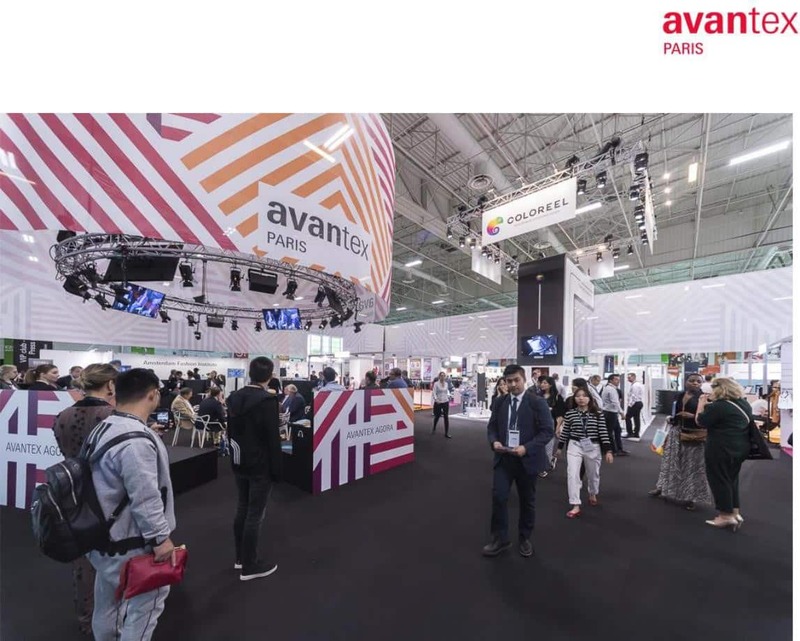 This year, 40 exhibitors came from 9 different countries for Avantex Paris, the bi-annual event for the creative and technical source of tomorrow’s fashion industry. On the occasion of its 7th session, the show assembled around forty prominent firms and organisations from eight countries that design, make and distribute technological products and solutions for fashion with high added value. Avantex Paris is not just a meeting place for business. It is a real hub for trading ideas that focus on research, investigation and marketing of solutions to address the challenges facing the clothing industry, both today and tomorrow! Incidentally, I am delighted with the European response to the call from the exhibition, which was the first to combine fashion and technology in the textile industry, regarding major issues such as durability, sustainability, traceability and all expectations of the active consumer in the digital era” states Michael Scherpe, President of Messe Frankfurt France. Success that was also encountered by other start-up businesses who came to promote their expertise, such as the French firm INDUO with their water-repellent fabric which is of interest to the luxury sector, or the Belgian firm Retviews with their algorithms for market surveys in real-time. In this way, the trade show presents ideas and materials to professionals of all kinds in order to offer a new and original perspective for the future. For instance, with the competition for advanced educational institutions, taking as an example the established collaboration with the ESMOD College of Fashion, whose students have developed to develop technical textiles from the TECHTERA cluster in Lyon. A climate conducive to textile R&D and its applications in industry, valued highly by Messe Frankfurt France, which once again has rewarded start-up companies that are actively involved in changing in the sector. The third Avantex Fashion Pitch: the competition between five solutions, corresponding to the segments at the exhibition, allowed the public to vote using the WiRATE platform. – The first prize at this September’s session went to a young American start-up called Nineteenth Amendment, which intends to revolutionise the retail business for fashion products. A package of tools and services for fashion designers and companies, aiming to simplify development of garments, from design to sales by way of production. The firm will benefit from individual guidance, a presentation at Avantex Paris next February and support from WiRATE and Moovjee in furthering their goals, while CETI will provide advice. – Special mention for three other competition entrants: Wonda Kammer and his men’s shirts manufactured in Ghana, who finished, very close behind, in second place, then Gorfoo, a brand for clothing, accessories and shoes made of plant-based materials, and lastly the collection of precise curves from Simone Simon. All three will have an outfit exhibited at the next show in addition to coaching sessions provided by Hall Couture.